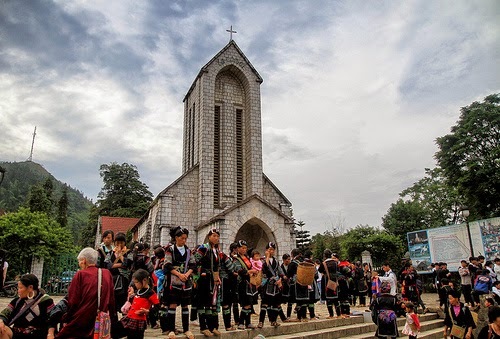 Early spring, Ta Phin Commune (Sa Pa) organized the singing, attracts many local people and tourists to the pilgrimage. Opening the the bridal ceremony procession through the village, the men, women brocade clothes procession colored competed singing and dancing the vibrant grace, create the unique culture of the highlanders. Besides, the singing also held contests: Drag young, shot it, blindfolded started to … get people actively involved. Ta Phin commune development of tourism in SaPa district. The organization of singing here is to meet the daily needs of the spirit of the people of the nation and contribute to tourism development.